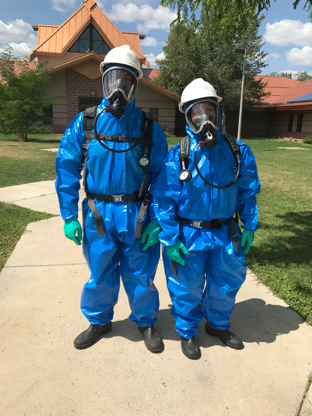 Description: The Northern Cheyenne Tribe and their Department of Environmental Protection & Natural Resources office requested that TIS conduct a 40 Hour HAZWOPER Technician class to enhance the awareness of uncontrolled releases of hazardous materials and hazardous substances on the Northern Cheyenne Reservation. TIS was contracted to provide the attending students with knowledge and hands on training to make them competent to assist with such releases. This comes after a spring incident where a truck carrying dynamite was involved in an accident in Lame Deer. Their goal was to enhance their preparedness to such incidents. The course was taught by Shawn Burress, Manager of Training Services from our Omaha office, and was conducted on site in Lamer Deer, MT. It was attended by personnel from various tribal entities and departments. The students were taught chemical and physical properties, as well as other related terminology, of common hazardous materials. They were taught how to use and apply the 2016 Emergency Response Guidebook, the NIOSH Pocket Guidebook, and WISER as well as Safety Data Sheets. 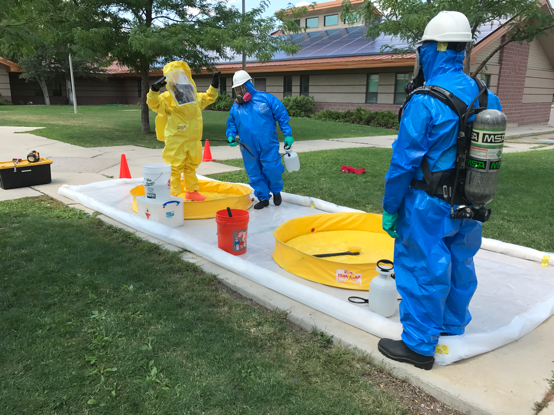 They were also taught various Decontamination methods, site safety and health considerations for uncontrolled releases of Hazardous Substances/Wastes and Materials. They discussed various options for the Confinement and Containment of spills.